The Derby Day dress code calls for a classic and timeless black & white palette for the prestigious racing event. Fashion is sophisticated and classic with monochrome tones and elegant styles, allowing race-goers and fashionistas to pare back and opt for a more tailored and simple ensemble to master. It’s not all black & white though; while Derby Day may seem understated, it doesn’t mean just throwing on any black or white dress either. Dressing for Derby Day requires just as much thought as it would for any Spring Racing event, as the black and white dress code can be a tad restrictive when choosing an outfit. We offer 3 Derby Day dresses perfect for standing out in the sea of black and white! In fashion terms, monochromatic dressing means wearing one colour or shade, e.g all black or all white. For something different, how about breaking it up by mixing both black and white into the one outfit? You will still be adhering to the Derby Day black & white dress code but by colour blocking it adds a little more intrigue and playfulness; a wonderful option for those who like to get creative. For a daring look, try this By Johnny plunge number. If you wish to wear a fascinator, consider selecting one in the colour of which is more predominant in your dress. For example, if you have a dress with a black full skirt and white bodice, choose a black fascinator to create a more subdued balance. 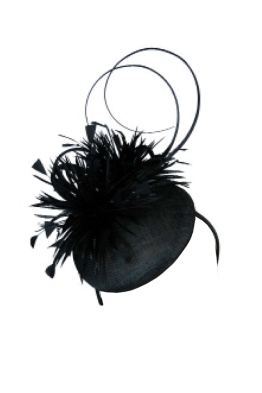 Shop our black fascinators available for rent here. 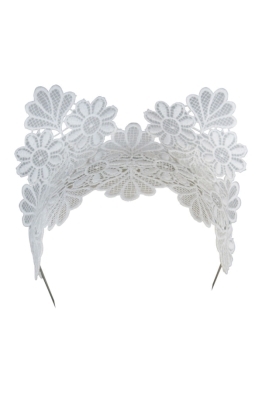 Shop our white fascinators available for rent here. 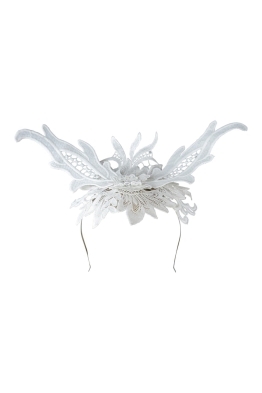 To lift an all-black or an all-white outfit, stand out with a statement headpiece in the opposite colour. Compliment the monochrome theme with details; opt for black nail polish, a statement red lip and gold accessories to help make your outfit pop. White or black heels are your friend. Look for styles that are fashionable but offer comfort and support to last the day. Thick or wide heels, sandals and peep toe pumps are all great options.